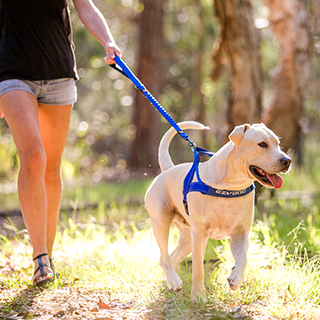 A dog leash is a direct connection between you and your furry friend. The second you grab the leash from the closet, your puppy is up and about, ready to go on a walk around the neighborhood. Tug a bit on the lead during your walk, and your pooch will slow down or stop altogether, ready to wait for you to catch up. This is both a safety restraint, as well as a communication tool between you and your furry friend. 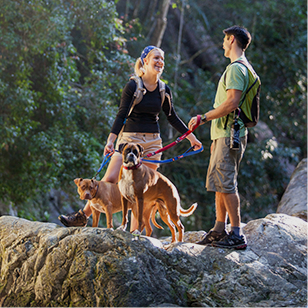 And if you are looking for a new dog leash for running, to use on your morning walks, or your mountain climbs, make sure to look through the dog leash collection now available from EzyDog. All of our products are sturdy, reliable, and easy to use, and offer protection and safety for dogs of all sizes. The next time you walk your pooch to the park, look around at all of the different dogs and their owners. You will most likely see a variety of different breeds and personalities; similarly, you will inevitably witness a host of different types of dog leashes, as well. And while we cannot attest to the quality of other leashes on the market today, we can promise you that all of the dog leashes we offer are crafted with high-quality materials and with the needs of you and your dog in mind. Instead of using a piece of leather or rope as a lead, or finding a nylon strap from the local store, pick a product you can trust; our leashes are secure and reliable, and will provide you with everything that you need. ADJUSTABLE – we know that one size doesn't always fit all, which is why we offer dog leashes that are adjustable to the length that you desire. Give or take a few inches with one of our leashes, depending on your individual needs. 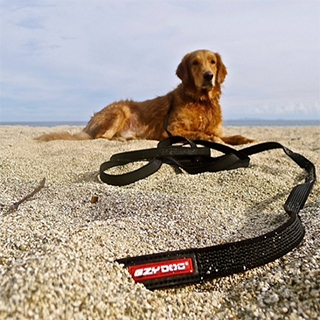 COMFORTABLE – say goodbye to painful pulling with a dog leash from EzyDog. 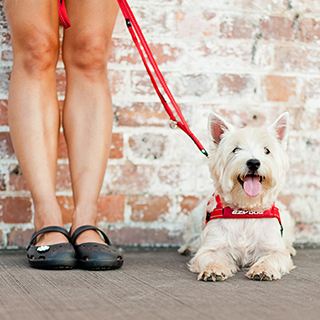 We believe that walking your dog should be pleasant and comfortable, and our leashes reflect this idea. COLORFUL AND STYLISH – to many dog owners, canine style is extremely important. As such, we designed all of our dog leashes to help your puppy gather glances of envy from the other canines in the park. 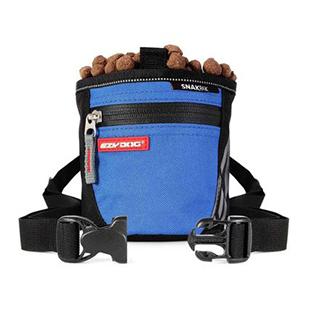 BUILT TO ABSORB SHOCK – never suffer a strained shoulder again with one of the dog leashes from EzyDog. 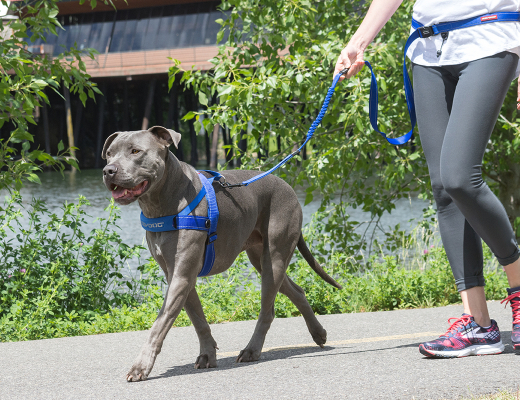 Our leashes are all crafted with our patented Zero Shock Technology, which allows the leashes to stretch and ease the pressure for both the owner and his or her dog. At EzyDog, we have a variety of dog leashes that will fit the needs of both you and your puppy. 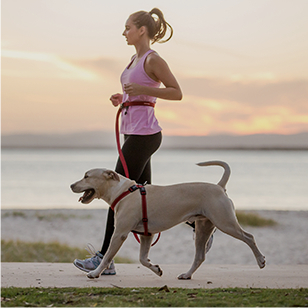 Whether you plan on going on a run through town or a walk to the store, we have a running dog leash or zero shock leash for your pup. 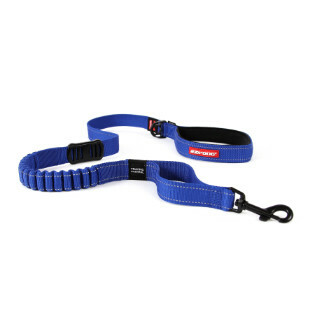 Lite Leash, perfect for small dogs full of energy. Tough enough to withstand the day-to-day and fashionable and functional enough to go where you go. 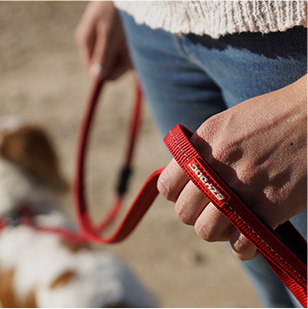 All the function of our performance leashes, but built for smaller dogs. Zero Shock Couplers, do you have more than one pooch to walk at a time? 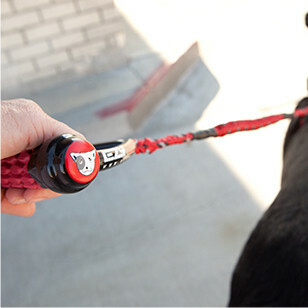 The Zero Shock Coupler dog leash from EzyDog lets you walk two dogs at once using our patented Zero-Shock Technology. 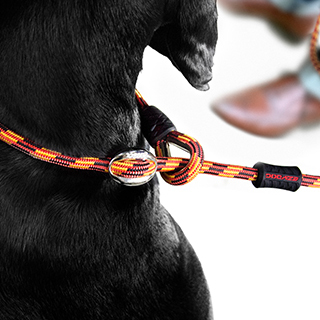 Are you looking for a perfect leash to fit your needs? 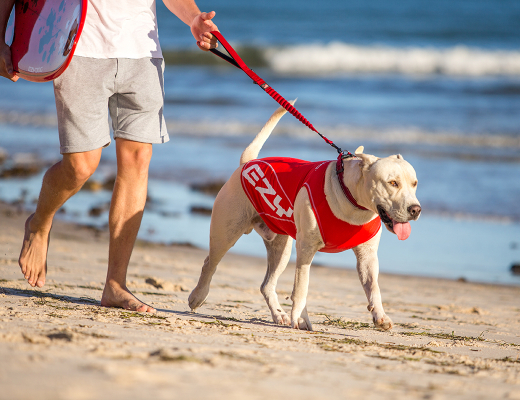 Check out the leashes available from EzyDog today to provide a whole new walking experience for you and your pet.